I met with the headteacher of Swalecliffe School, Mr Cooper, yesterday to discuss his concerns on the issue of school funding. All of Whitstable’s schools share his concern and as a teacher and parent myself, I do too. I am meeting with our MP, Rosie Duffield later this week to discuss how we can support Swalecliffe and all of our local schools. Last September, over 2000 headteachers from across the country including many of our Whitstable heads, took the unprecedented step of protesting outside Parliament. They have seen budgets slashed, and are finding themselves unable to plan properly due to uncertainty. How have so many headlines been dedicated to how Brexit will affect British business, and so few about the millions of children whose life chances are impacted negatively by the Tory government’s slashing of school budgets? The government claim that school funding is higher than ever – a brilliant example of misuse of statistics. In real terms, schools’ budgets have been cut by 8% since 2010. For over 16s, 20% has been sliced away from investing in their futures. So when Worth Less, the campaign group set up to represent thousands of headteachers have written 3 times to our government since September, pleading for an urgent meeting with the Secretary of State for Education, to have a request answered by a junior civil servant: “I am afraid that, on this occasion, the Secretary of State and the Minister of State must decline your offer to meet. I hope you will understand that their time is heavily pressurised and their diaries need to be prioritised according to ministerial, Parliamentary and constituency business.” headteachers are rightly furious at the clear lack of care shown by the government. What could be more important than our children’s futures? Mr Cooper spoke passionately and knowledgably about the financial issues that schools in the Coastal Alliance are facing. This includes not just Whitstable, but Herne Bay and surrounding areas too. He appreciates that austerity has affected schools’ budgets, and he and his headteacher colleagues have made many, many cuts over the past few years. He says that the shift from fairly easy decisions which will have minimal impact on the running of the school like perhaps not replacing support staff who leave, limiting disposable resources and changing suppliers has progressed rapidly to having to make serious financial decisions which will directly affect children’s education. This fills him and his colleagues with horror, and has driven his involvement with the Worth Less campaign. All of the schools in the Coastal Alliance are currently assessed by Ofsted as being Good or Outstanding. Mr Cooper was very clear that these gradings are hard won and well deserved, and that they are placing their excellent reputations in jeopardy by being forced to make cuts which will now directly affect children’s education. Mr Cooper also spoke about the requirement for schools to have 3 year financial plans, despite only knowing what their budgets will be for the next academic year alone. He has to plan for an unknown budget. And of course is assessed by Ofsted on his ability to do so. All the ‘business managers’ now necessarily employed by schools to make head or tail of such legislation up and down the country face an impossible task. Frequent changes to funding for children with SEND make the job harder still, and headteachers are pleading for the flexibility they need to provide for the children they have a legal obligation to care for. Mr Cooper is very clear that it is these most vulnerable children who are beating the brunt of the cuts. Schools need to be able to plan long-term, and to not be subject to the political whims of Parliament. A 5 or better still, 10 year budget would allow schools to run more efficiently. I wonder why schools are treated like businesses when it suits our Tory government, and yet are also treated like children given pocket money? Let’s be clear on this – austerity is a political choice. 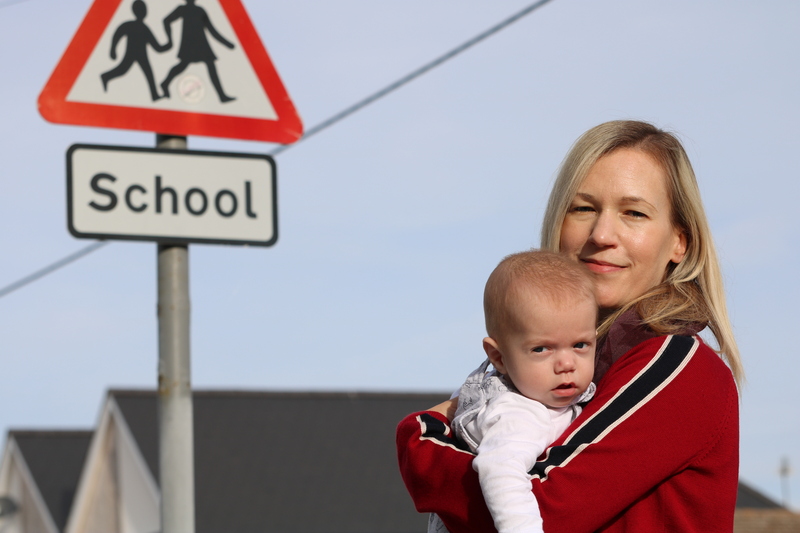 If our amazing local schools like Swalecliffe are placed at risk by this government’s lack of care for our children, parents of Whitstable will not stand for it. This is no longer about not buying branded glue sticks or not having the newest whiteboard in town – it’s about our teaching staff, the lessons our children learn and their experience of school. Our children deserve to be treated as the highest priority of this government – please support our headteachers and the teaching unions when they say enough is enough. Your local Labour MP, councillors, candidates and activists are passionate campaigners for schools, and we will support them wherever we can. 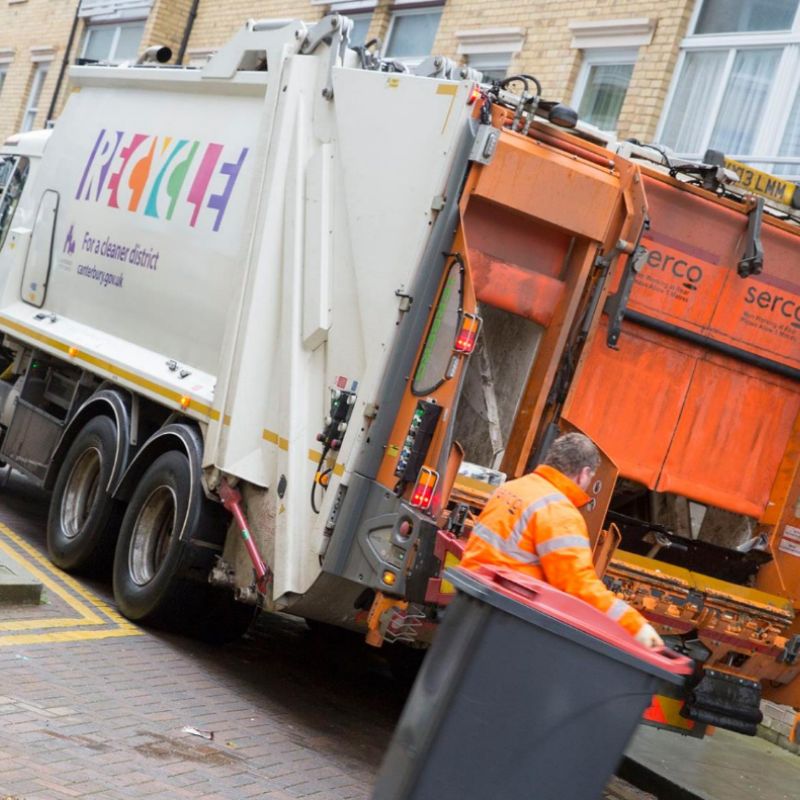 Canterbury City Council today announced the ‘exciting news’ that district wide refuse collection, currently being done to a rubbish standard (arf) as a private contract by SERCO, is being re-examined. Wake up at the back – yes, it’s bins, this is the local authority, it’s what they do. But let’s take a closer look at what they’re proposing. The Tory-led council have been pretty happy to outsource / privatise (let’s call a spade a spade) as much as possible, and have relished the centrally forced shift in role by local authorities from spending our taxes for the public good, to acting as dodgy and not very competent investment companies. See their foolish purchase of Whitefriars and their excitement over the ridiculous new multi-storey car park for evidence of their dazzlement at their own purchasing power. Unsurprisingly, privatising our public services tends to result in increased profit for private company bosses and a decline in workers’ rights, and a total loss of control and oversight. SERCO have failed in Canterbury. Judgement made – privatising the bins has failed. Goodbye to a Tory pet project. So what’s next? The council are proposing setting up their first ‘LATCo’ aka a Local Authority Trading Company, in order to avoid their fiscal responsibility and take control of a messy (arf) problem. It’s exactly what it sounds like – a proper company, a business, which does the job of collecting refuse and recycling, garden waste and so on. So why are they doing this? Why not give up on privatising completely and take back control of our public services, as most Canterbury residents want? Well. It turns out there are some sneaky advantages in a LATCo. Our council are trying to sell us this as a ‘the best of both worlds’ arrangement, but in reality it’s the very worst of both. They don’t even pretend it’s anything other than what it is – a vehicle to avoid paying the pension contributions and other things that contribute to workers having decent working conditions. For all the rants I read on various forums online about SERCO’s dire performance, the men on the ground who do the dirty work, are for the most part admired and sympathised with – they’re doing their best under poor conditions. They are asked to work longer, harder hours, with targets that mean they can’t do a good job. It’s not their fault – it’s the management of SERCO, who by their nature as a private profit making company, need to cream off as much as possible. By choosing a LATCo over bringing refuse collection fully back in-house, your Tory council are choosing to deprive our bin men of their right to decent working conditions that have been defined and set as appropriate for the work they do. It’s there in black and white in the proposal document, available online HERE. They won’t get a decent pension, they won’t any better working conditions than they do currently working for SERCO. And it will be the same men – TUPE law means that it will be the same men collecting your bins. The council can’t sack them or make them redundant, so they will move to working for this LATCo, with no better working conditions than they currently have. The big question for residents – will this improve the service for residents of Canterbury, Whitstable and the Villages? I see no way how it could. A mainstay of Labour policy is to take back control of outsourced, privatised work which is currently done by the private, profit-making sector. This seemingly small shift towards Labour policy is nothing more than cynical vote seeking in advance of the council elections in May. The Tories know privatising services doesn’t work, but their entire party is based on eroding workers’ rights and conditions for the pursuit of profit. Why would we expect a Tory-run council to behave any differently from a Tory government? It won’t be residents or workers who see an improvement here. The question then is who is this proposal going to benefit, exactly? Tories scared of losing their seats at the election, perhaps? I wonder.